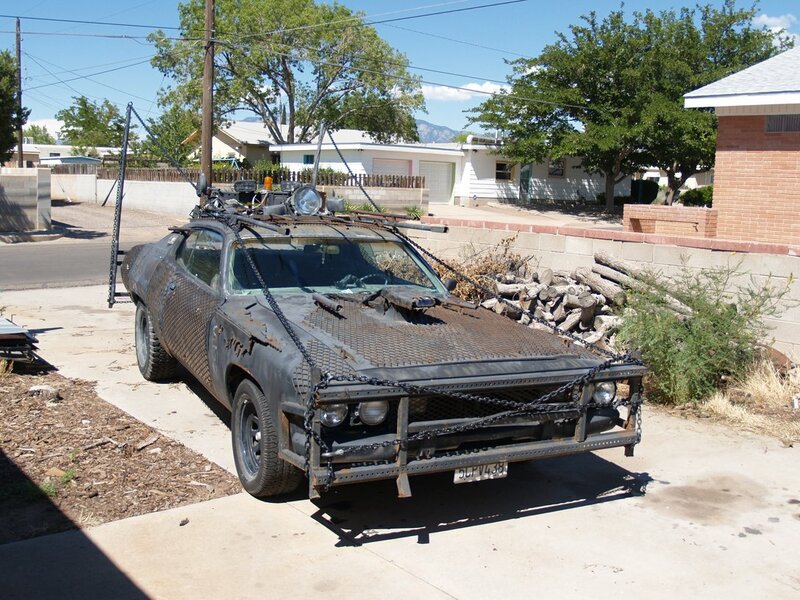 Vector is a 1973 Plymouth Satellite Sebring with heavy aesthetic and functional modifications. Originally conceived by Kurt Harland of Information Society, he and NYC artist Linus Corragio took a plain, two door American passenger car and a notebook of sketches in 1989 and 1990 and transformed it into the vehicle that graced the cover of InSoc’s 1990 release, Hack. In 1991, I bought a copy of Hack, and fell in love with the car on the cover. Coverage on MTV and a very early internet showed video of Kurt driving Vector around NYC, and talking about how since he was 14 years old, he’d wanted a car like that. I don’t suppose I have to tell you that in early 1991, I was myself 14 years old, and the existence of Vector altered my life forever. In that instant, I learned that vehicles did not have to be the boring appliances that my parents drove. Cars could not merely be cool, like the Lamborghinis and Ferraris and Porsches that I had drooled over in the pages of Road and Track, they could be fundamentally awesome. In 2009, David decided he was tired of maintaining Vector. He consulted with Kurt, and they decided that I was best suited to be the next Master of the Vector. I came out to Oakland, and began a survey of the car. It needed work. No. It needed lots of work. I limped her home, and (as demonstrated by the previous entry) there she sat, while I collected parts. And now, it is time for the great rebuilding. One Response to This is Vector. Sweet! Cool to see that this piece of aesthetic history isn’t gone from the world. If you were geographically near, I’d donate time & wrenches.